In top lighting, the light comes straight down onto the head. It occurs often under a streetlight, a hallway light, or a noonday sun. The forehead and the nose intercept most of the light. These parts of the face carry relatively little expression. The mouth and eyes, the chief agents of sympathy, are lost in shadow. 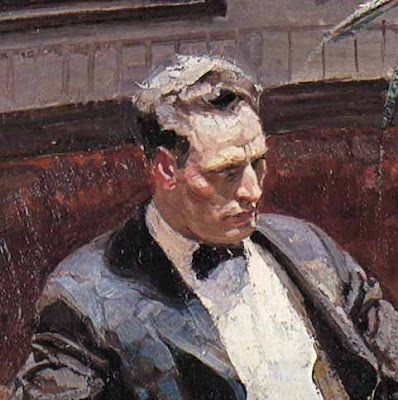 As a result, the subject’s emotion is masked. The effect can be threatening, mysterious, or inscrutable. 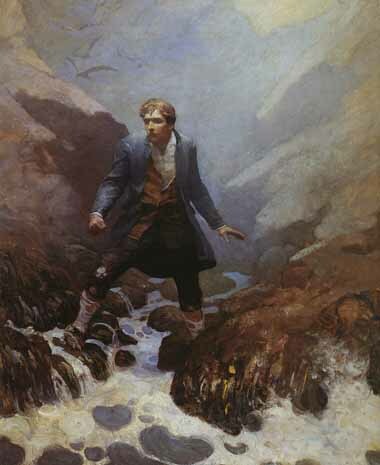 Above: N.C. Wyeth, from Kidnapped. You probably wouldn’t want to use this lighting arrangement for portraits, but it can yield powerful effects for a dramatic entrance of a dangerous character, or for conveying a feeling of cool detachment. Above: Dean Cornwell. Very interesting. Thanks for this series. This is my favourite facial lighting scheme. Great series, Sir. 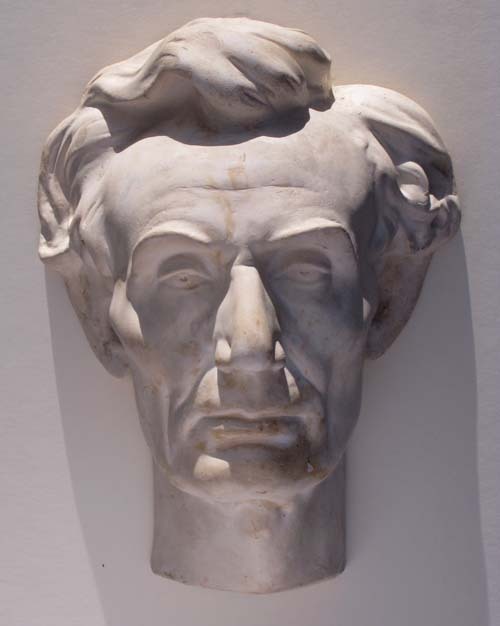 The photos of Abe in different lighting are quality reference images! Terrific series of posts, I had not thought of the suggested interpretations of different lighting... With the exception, of course of the bottom lighting often seen on Halloween.